I have been playing chess online, my rating is around 1200. Is the GM package good for my level? Yes. Although Grandmaster Package was designed for advanced players, the explanations are very clear and detailed so beginners can understand the lessons. Moreover, the beginners will learn chess the right way from the start. The exercises may be hard, indeed, for beginners but they can learn from the solutions which are also very comprehensively explained. Moreover, beginners can also choose the Program for Beginners which is specially designed for them. I am in my 60’s and have played chess for over 30 years off and on. Can your course improve my rating? Yes. 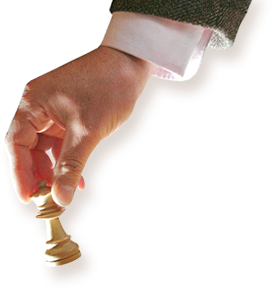 Our chess course helps you understand chess better through logical, detailed explanations. We have many students this age or older who enjoy the course and progress. Do I have to use your opening repertoire with the course? No. However, we recommend it. We have prepared an opening repertoire based on understanding of opening ideas and strategy in the opening. The opening systems are selected to last for a long time, so you will not need to review the top grandmaster games every night to see what you can still play the next day. How can I tell I am getting better during the course? Our course includes many exercises. There is also an initial test and a set of tests at the end of the course of the same level. You can compare how good you perform at these tests. Beside this, practice is very important and we do recommend you not stop playing during your study. In fact, many of our students reported much improved chess thinking and better results at chess tournaments after just a couple of months studying our course. Do you have more courses beside GM Package? Yes, as any school/university, we have more courses. We have the Openings Course, two one-year courses based on annotated chess games and video lectures, more sets of strategy puzzles and we are working on more projects. However, you can become student of our chess school only subscribing to the Grandmaster Package. This is our core chess course and the only one you need to make a huge progress in chess. The extra courses we offer are complimentary to the core course. If you have any other questions, please contact us at admin@chessmasterschool.com. Your email will be responded promptly.